For every great Christmas classic out there, there’s an equally terrible excuse for a holiday film. As you get into the spirit of the holidays, you may be tempted to re-watch your favorite Christmas classic films. Whether you’re into It’s a Wonderful Life, A Christmas Story, or The Santa Clause, you’re probably of the opinion that certain Christmas movies never get old. But not every movie you saw on live TV as a child is a good one, and there are some popular Christmas movies you probably shouldn’t waste your time on; they’re just plain overrated. You’re entitled to your own opinion about your holiday favorites, of course. There are plenty of people who love the movie Elf, and others who can’t stand it, and there’s bound to be some disagreement about our picks as well. Feel free to defend the honor of any of these movies in the comments. Tim Allen and Jamie Lee Curtis star in this one, but that’s not enough to make it any good. In fact, this movie got a horrifying five percent score on Rotten Tomatoes. It’s meant to be cheerful, which it is, but it’s also meant to be funny, which it’s not. 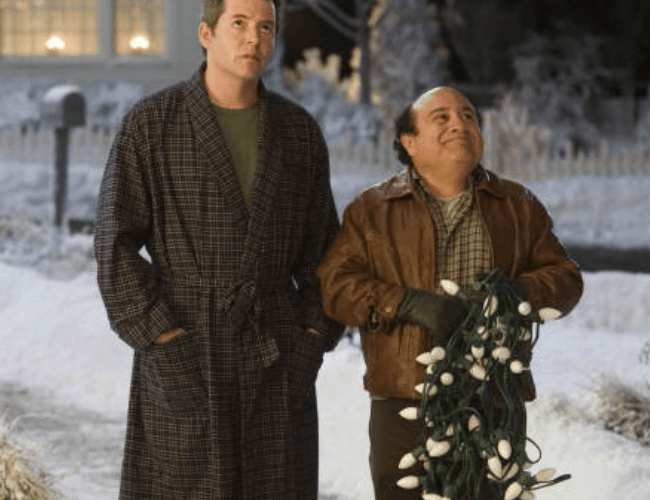 Every plot point is predictable, and it has many moments that are far too sappy, even for a Christmas movie. Once again, stars like Danny Devito and Matthew Broderick do nothing to salvage this disaster (six percent score on Rotten Tomatoes). The only thing more annoying than watching your neighbors compete over who has the best decorations is watching the plot unfold in this movie. It’s full of Hollywood stereotypes and jokes that will make you roll your eyes. Arnold Schwarzenegger plays a father on the hunt for a sold-out action figure that his kid must have for Christmas. This consumerism-focused plot does little to warm our hearts, and the scenarios become so ridiculous that they’re hard to watch. The sequel, however, is even worse. There’s something deeply disturbing about this movie. Ben Affleck stars as a wealthy executive (probably lacking a soul) who pays the residents of his childhood home to act like his family for the holidays. This film received a measly seven percent score on Rotten Tomatoes. This CBS made-for-TV movie is based on an equally terrible song. It’s a sad story about a neglectful workaholic who is moved by the plight of a young boy attempting to buy shoes for his dying mother. This movie is designed to make you cry, but we’re crying more about the awful storytelling than the plot itself. Do you agree with our picks? What are your favorite classic Christmas movies? Let us know in the comments. Looking for some fun stuff to do this weekend? Check out our big list of everything to do in the DMV this weekend!